gold/silver ratio, is a ratio of the gold price to the silver price. Gold/Silver ratio, is a ratio of the gold price to the silver price. 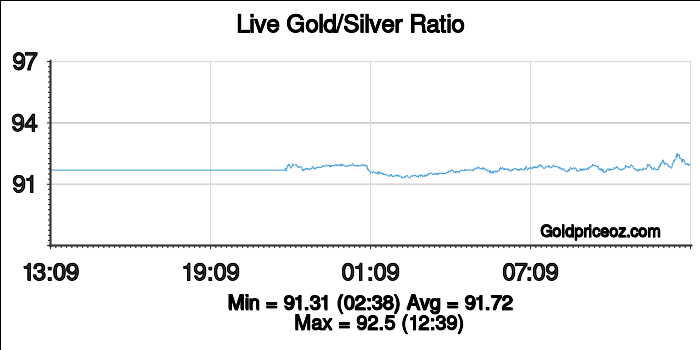 In other words, it measures how many ounces of silver it takes to buy an ounce of gold. 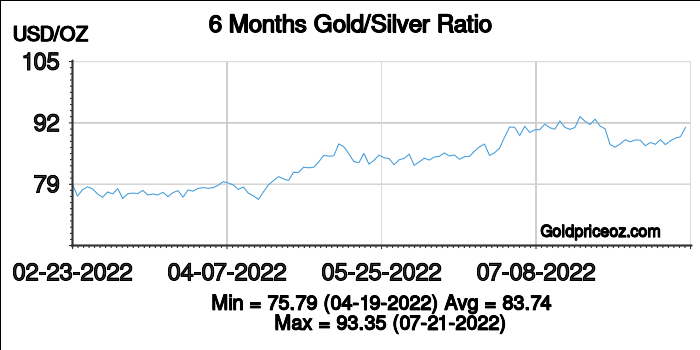 For example, assuming the current gold price is 1280 US Dollars per ounce, and the silver price is 20 US Dollars per ounce, so the Gold/Silver ratio is equal to gold price / silver price, that is 64:1. How to use the Gold/Silver ratio? From 1976 to 1980, that period is a bull market of precious metals; the Gold/Silver ratio fell from 40:1 to 17:1. From 1990 to 1991, the precious metals trading are in a bear market, the ratio rose from 71:1 to 100:1. 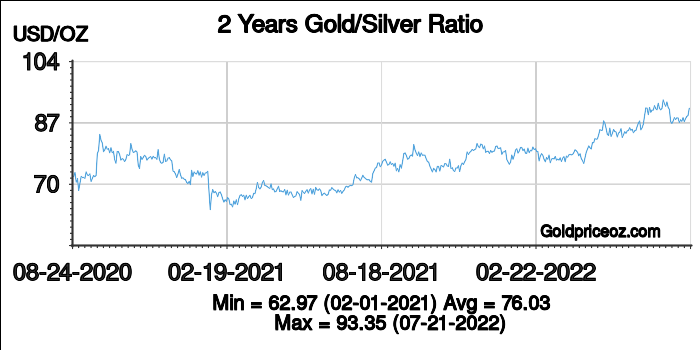 From 2003 to 2008, the silver price rose, the ratio dropped from 80:1 to 45:1. The above data shows that the Gold/Silver ratio is not fixed. 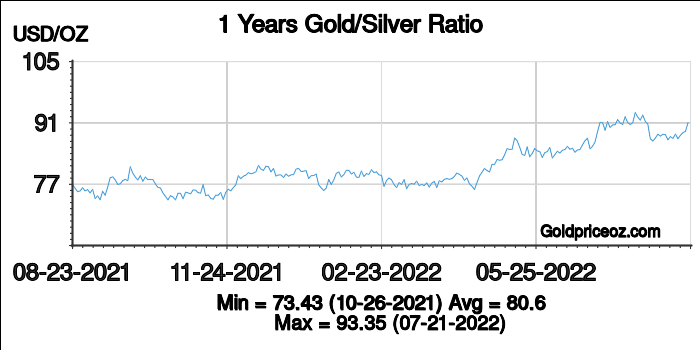 Investors can use the fluctuating ratio to estimate the relative value of silver, which confirms to buy gold or silver in an optimal time. 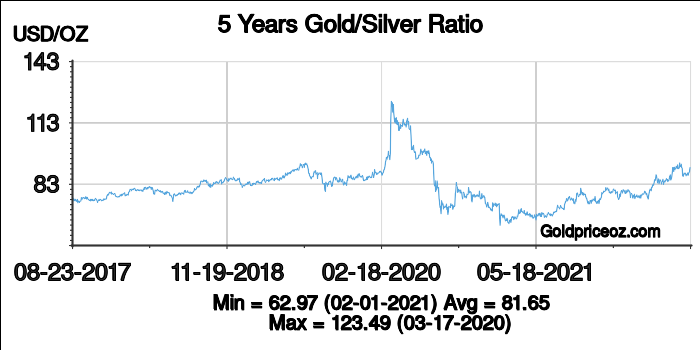 When the ratio is rising, that means the price of gold increases, or the price of silver decreases; as the ratio is falling, it means the price of gold decreases, or the price of silver increase. 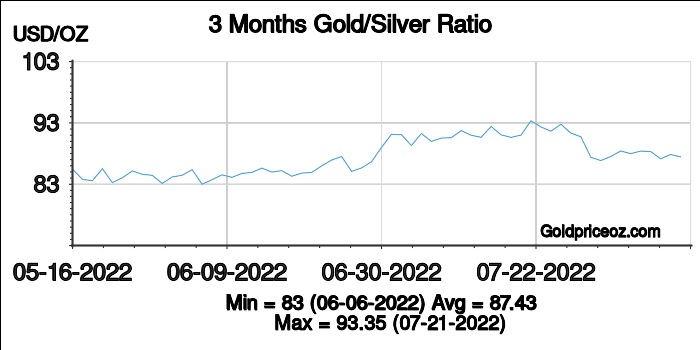 Typically, the price of silver drop faster than gold during a recession, and silver will rise faster than gold during a bull market in the metals. 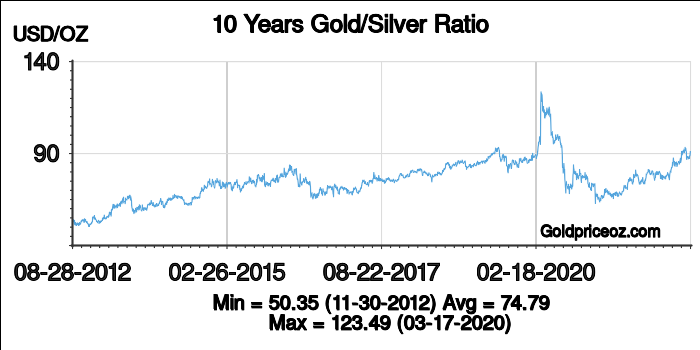 In short, the Gold/Silver ratio is larger during a bear market and smaller in a bull market.